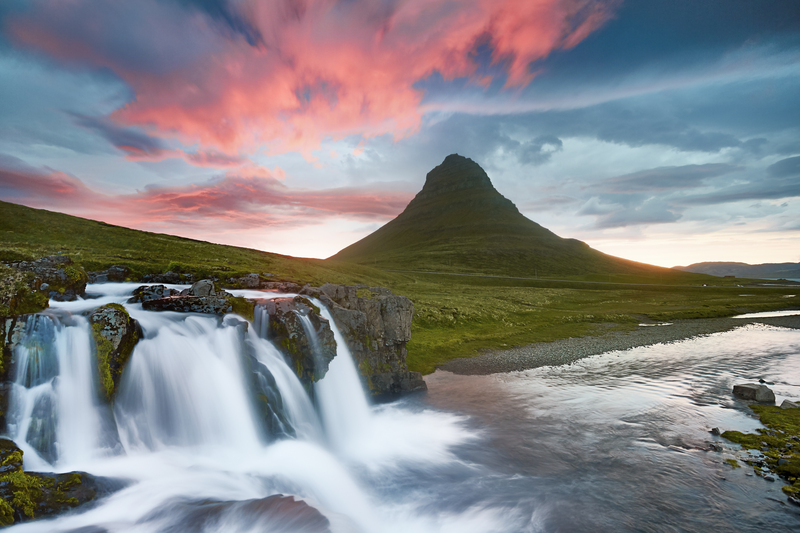 Kirkjufell Mountain, located in western Iceland, is one of the most recognizable landmarks in this often photographed country. The cone-shaped mountain can be viewed against the vibrant blue waters of the North Atlantic Ocean from a small series of waterfalls known as Kirkjufellfoss. On the recent Resource Travel and 500px Photo Tour of Iceland with Iurie Belegurschi of Guide To Iceland, the team made a brief stop at this awe-inspiring site. While arriving in mid-morning during the summer months, we were surprised how few people were there. The tourism boom in Iceland is real, but in many popular locations, you can still find yourself in relative seclusion, and this day was no different. Since my first visit to the site in 2013, much as changed, mainly a new large parking area for cars. While I am happy to see more infrastructure being built to handle the influx of tourists, the placement of this parking lot had me scratching my head. Unfortunately, the parking lot sits in the open land between the waterfalls and the mountain, therefore assuring that you will be practicing your clone stamp skills to remove the unwanted cars, including your own. 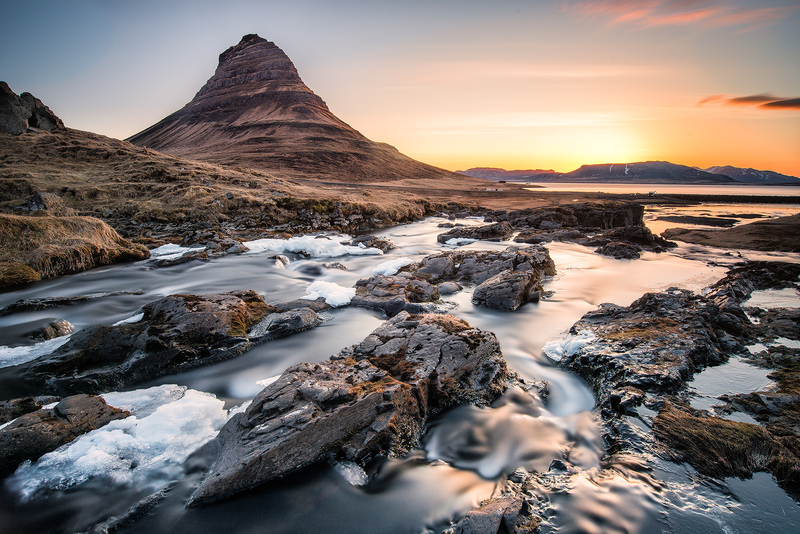 Even with this minor inconvenience for us photographers, Kirkjufell is still one of the most beautiful locations in Iceland, and well worth the visit. 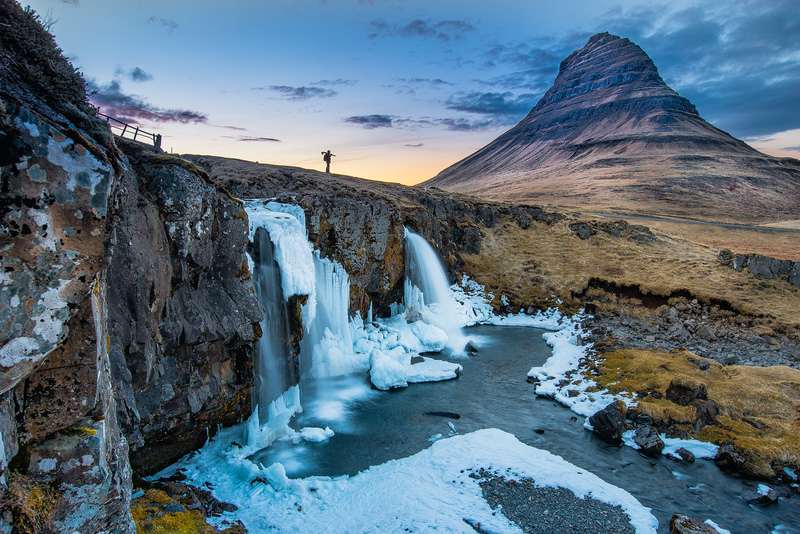 On this morning, we followed Belegurschi as he took some more intimate detail shots of the waterfalls, since the mid morning light with blue skies wasn’t ideal for the postcard worthy images you might usually see gracing social media. All 4k video footage was taken with a Panasonic GH4 on a Freely Systems Movi M5 and a DJI Phantom 3 Quadcopter. Did you miss the first teaser video from the 500px & Resource Travel Photo Tour of Iceland? Watch it here! Thanks Peter. You would love Iceland man!